Grandparents often find themselves in awkward positions when it comes to having conversations with their family. Once children become little people,” they develop likes and dislikes and discover their own interests, all of which may often be at odds with the grandparent’s. Even the most innocent attempt at chatting can produce such conversation-stoppers as I dunno,” whatever!” or who cares!” Similarly, when a grandparent tries to initiate a talk to his or her own children about grandkids’ behavior or activities, it is usually met with a stony disapproving silence or a curt mind your own business.” And when sets of grandparents get together, the opportunities to criticize each other for spoiling or favoring one of the grandchildrenor the parent whom your child marriedcan become a prescription for disaster. Fortunately for the growing population of intergenerational family members, help is here in this very practical handbook for seniors who babysit, visit or vacation with, or otherwise spend time with youngsters. Among the topics included are creating safe and friendly environments in which to initiate a chat, selecting age-appropriate conversation openers, avoiding sensitive issues, and developing listening as well as speaking skills. Subjects for conversations include family history, favorite activities, uncritical advice, and hopes and dreams for the future. 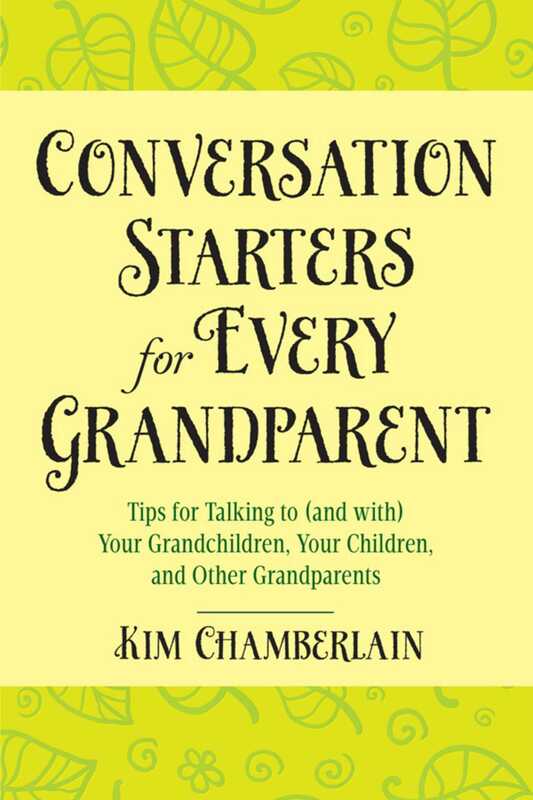 Although aimed at grandparents, this latest volume in the author’s Conversation Starters series is an essential guide for parents and children as well.